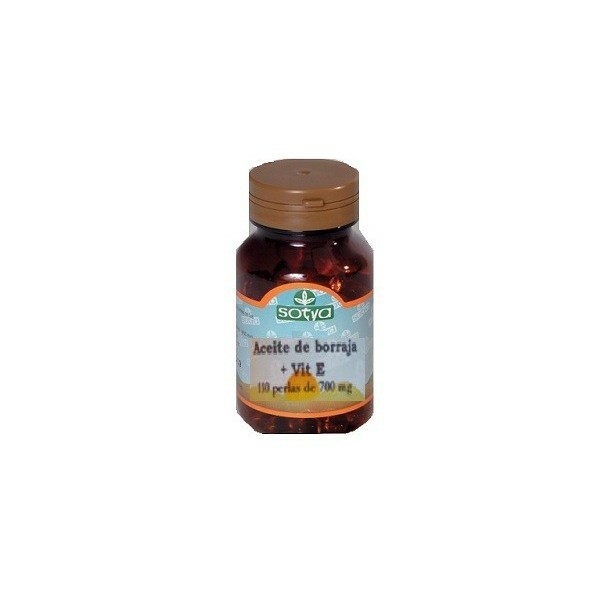 Sotya Borage Oil (fatty acids) 110 pearls. 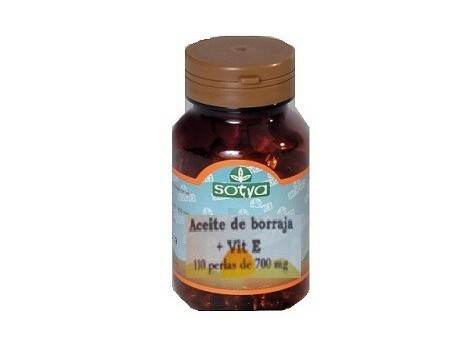 Sotya Borage Oil (fatty acids) 110 pearls. Applications Dietary supplement recommended in the following cases: • Menopause • pre-menstrual syndrome (irritability, breast tenderness, fluid retention, pain) • Amenorrhea. • Dry skin. Bead composition: Each bead contains 500mg of borage oil first cold pressed with 20 to 22% GLA, 10mg of vitamin E. Coverage of gelatin and glycerin. Total weight of approximately 710mg (including cover) Properties: Borage contains abundant minerals, especially potassium nitrate, calcium salts and silica, muicílagos and flavonoids. On the one hand, borage has sudorífica action, helping to eliminate toxins: It is useful in influenza disease, fever and infectious diseases. It also has an expectorant action, as is indicated in cases of bronchitis, flu and colds. It is diuretic, increases urine production and elimination of urea; As nephritis prevents gout and arthritis. The combination of its diuretic effect and borage sudorific make an excellent cleanser. The seed oil is rich in linoleic acid (polyunsaturated fatty acid), so lipid-lowering effects (reduces cholesterol), helps regulate the hormone system and normalizes dysmenorrhea. Externally, borage is moisturizing and anti-inflammatory, and is useful in cases of sunburn, sensitive skin, or simply as aftersun Finally, incorporation into the formula of vitamin E, tocopherol, is as an antioxidant to protect cells and oil from rancidity, thus ensuring the good condition of the oil.